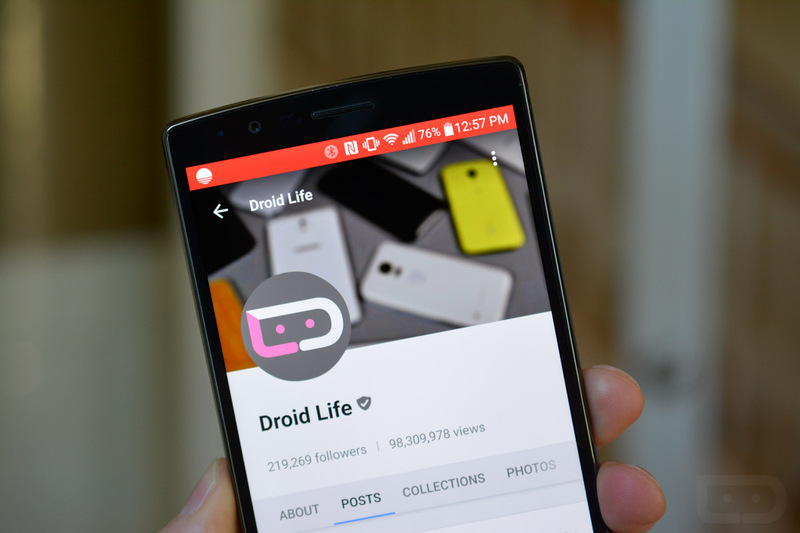 Still rocking Google+? If so, a big update is rolling out for the Android app, one which includes 29 bug fixes, addressed accessibility issues, and a strengthened web browsing experience. 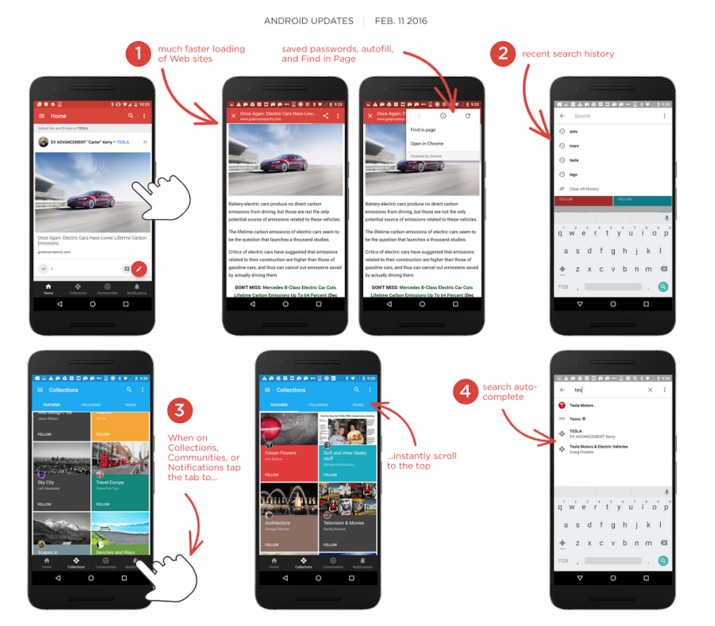 As detailed by Googler Luke Wroblewski, the app now utilizes Chrome custom tabs to preload web sites when they are linked to inside of a Google+ post. This allows web sites to load much faster. Not only will speeds be increased, but other features like saved passwords, autofill, and Tap to Search are also available in custom tabs. Additional features listed in the changelog include search history and autocomplete, as well as the ability to tap on a “bottom bar” to scroll to the top of Collections, Communities, and Notifications.